One of the most disturbing forms of health care fraud is fraud involving nursing home residents, a group that relies on their caregivers even more than most members of the public. As a San Francisco nursing home fraud lawyer, with expertise in both Medicare fraud and nursing home abuse matters, Attorney Brod works with the brave whistleblower who come forward to report nursing home fraud. Using the qui tam provisions of fraud laws, we work as a team to stop these transgressions, help the health care programs recoup losses and bring perpetrators to justice. We also protect whistleblowers from retaliation and ensure they receive due compensation for their role in stopping the health care fraud epidemic. Life Care Centers of America Inc. (“Life Care”), a nursing home care company based in Tennessee, is facing allegations it engaged in Medicare fraud, filing millions of dollars of claims for unnecessary treatments. A Wall Street Journal report from late 2012, reviewed allegations that Life Care, from high-ranking executives to low-level supervisors, pressured therapists to provide unneeded, expensive treatments and bill ever-higher amounts. According to the Complaint, Life Care billed both Medicare and Tricare, an insurance program for military personnel and their families, for unnecessary treatments in a scheme dating back to at least 2006. Life Care allegedly falsified records in order to charge the government for the most costly services possible. The Justice Department alleges that Life Care management set aggressive billing targets for “ultra-high” therapy, forms of therapy that are billed at high rates including physical, occupational, and speech therapy. Life Care pressured therapists to hit targets and goals unrelated to patients’ actual needs. Presentations, emails, and visits from high-ranking officials were used to advance billing goals, as were action plans for so-called underperforming facilities. Nearly 68% of Life Care’s Medicare rehabilitation days were billed at the ultrahigh level, in contrast to the 35% average for all skilled nursing care centers. The government’s Complaint lists examples of patients who allegedly didn’t need provided treatment or could even be hurt by it. One was a medically fragile 92 year-old cancer patient who, despite spitting up blood, was given physical (48min), occupational (47min), and speech (30min) therapy the day before he died and 35 minutes of physical therapy on the day of his death in 2007. Documents allegedly reference another 62 year-old patient could not walk and needed help to even move from lying down into a seated position. Life Care billed Medicare for group therapy for the 62 year-old, therapy sessions focused on standing exercises. The suit against Life Care began when two former employees, a Tennessee nurse and a Florida occupational therapist, brought separate whistleblower cases against the company. In late 2012, the Justice Department joined the suits. In May 2014, per the Cleveland Banner, a judge denied Life Care’s motion to dismiss. The article notes that the original lawsuit asked for civil penalties ranging from $5,500 to $11,000. 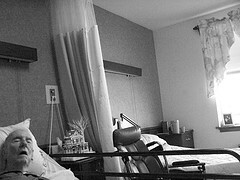 Nursing home fraud is about more than money. It is also about the mistreatment of our seniors, people who deserve honest, individualized care. The financial aspect also poses a threat to the health and lives of older Americans by draining critical resources and also casting doubt upon the actual legitimate claims filed by honest companies. If you have witnessed Medicare or health care fraud, please come forward. As a California Medicare fraud attorney, Greg Brod can help protect your interests, get you compensation for your efforts, and work with you to end the wrongdoing. We can’t fight this fraud without the help of brave whistleblowers, help us end fraud, protect patients, and allow the government to recover lost funds.